Elite Landscaping has been in business in the Valley since 1982. Our primary focus is on Commercial properties, HOA’s and high end residential customers. We work with several Homeowners’ Associations with all aspects of their landscaping needs (Irrigation repairs, tree trimming, tree and plant replacement, weed control, seasonal annual flower planting, suggestions for upgrading). In 1997, we pursued commercial landscape installation projects, irrigation troubleshooting and repair. 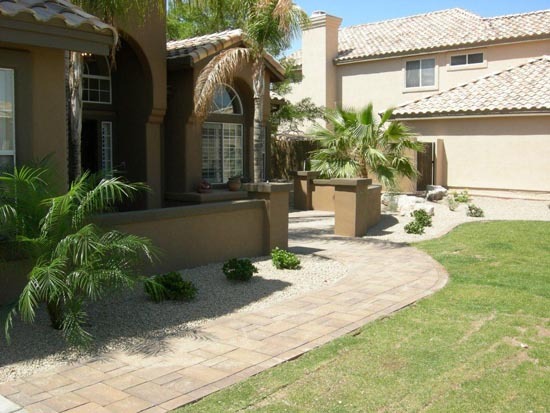 Elite worked with many contractors in Arizona, as well as, out of state contractors. Our experience includes Hardscaping, landscaping, irrigation, grading, and low voltage lighting. We would like to be added to your Vendor’s list so we can provide our services to your company.